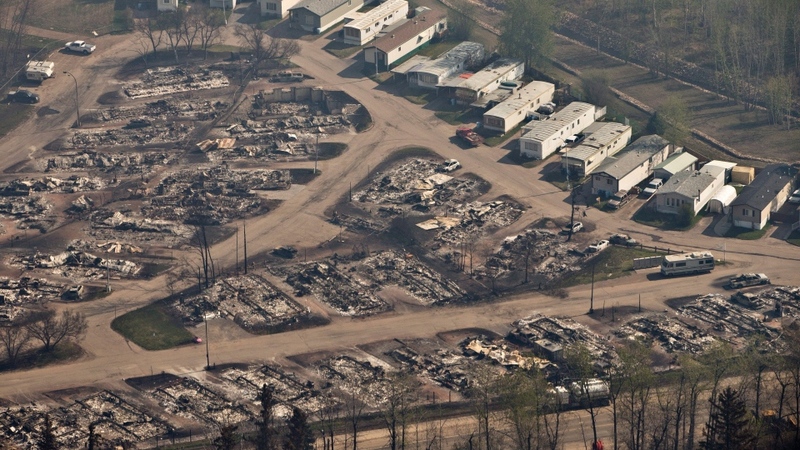 It’s been two years since wildfires in Fort McMurray, Alta., destroyed more than 2,500 homes in the area and officials say roughly 80 per cent of those houses are still not fully restored. On May 3, 2016, approaching wildfires forced more than 85,000 Fort McMurray residents out of their homes, making it the largest evacuation in Canadian history. When they returned to the community, 2,579 homes had been destroyed. The fires caused an estimated $3.7 billion in damage, making it the costliest disaster in Canadian history, according to the Insurance Bureau of Canada. Now two years later, just 523 of those homes have been fully rebuilt and passed inspection, while another 1,458 are currently under construction. Don Scott, mayor for the Regional Municipality of Wood Buffalo, says despite the slow progress, it’s going as expected. Even those families whose homes had been spared from the blaze are feeling the impacts of the fire two years later. Gary Harris came back to Fort McMurray to find his home hadn’t been touched, but once he and his family moved back in, they began suffer breathing problems. 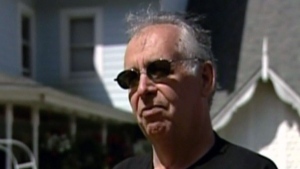 “The doctors got us, actually, all on steroids, puffers and other puffers,” said Gary Harris, told CTV News. The family’s insurance company brought in cleaners to fix the issue, but the Harris family says it isn’t enough. They had the home tested independently and found potentially dangerous levels of a chemical called “antimony” in the carpets. Antimony exposure has been linked to chronic bronchitis, increased blood pressure, diarrhea and skin inflammation, among other side effects, according to research in the International Journal of Environmental Research and Public Health. Harris says ridding their home of antimony would cost $100,000 and months of work. The family hasn’t lived there in a year. “It needs to be knocked down,” Harris said. The Harris family is one case of the roughly 5,000 open claims related to the Fort McMurray wildfire, as of late last month. “For the rare few (cases) that are still open, we need to understand, why are they still open and what can we do and what can the homeowner do and the policy-holder do to work through these issues,” said Rob de Pruis, director of consumer and industry relations, western region, for the Insurance Bureau of Canada. The clock is ticking for these open cases as there is a two-year limit on resolving insurance claims. Homeowners with an outstanding issue must either file a statement of claim or an extension.